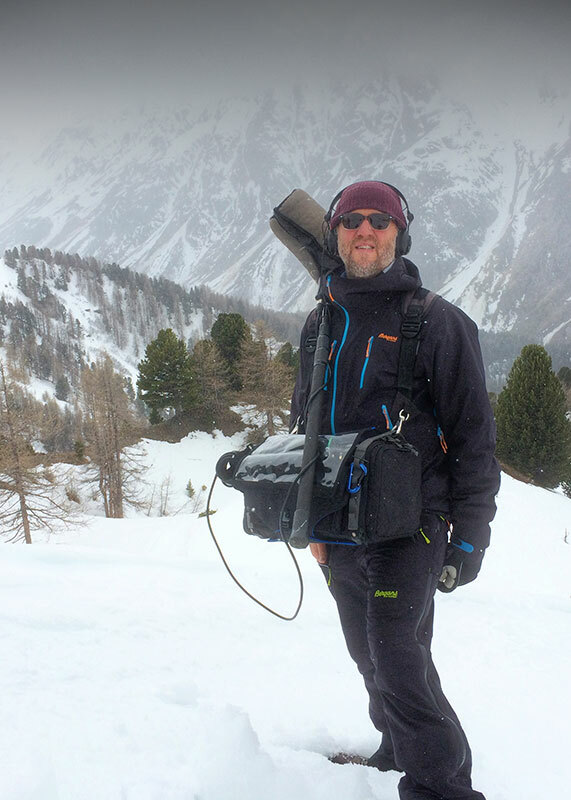 As Amazon launch the much anticipated ‘The Grand Tour’ (“sometimes it’s even a show about cars”), we are delighted to feature the show’s sound supervisor – BAFTA- and CONCH-nominated production sound mixer, Russell Edwards. 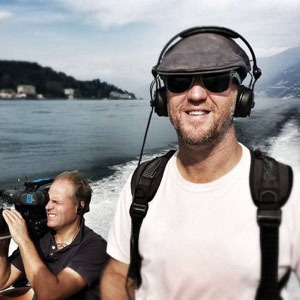 Russell chats to us about his extensive documentary experience, offers some practical tips and tricks for using Rycote gear on location, and explains his plans for the future. During one particular job, I bumped into Jeremy Clarkson. He invited me to do a show with the rest of the guys, and the rest is history. So just to provide a little bit of background for readers, can you tell us how you got into this industry? I know you’ve said that you went to assist Simon Kaye, so when you were younger did you have any sort of inkling that you wanted to get into sound? Was there a turning point? After I left film school, I went to work for John Midgley – who eventually won an Oscar for Hugo – and Simon Kaye, who had already won Oscars for The Last of the Mohicans & Gandhi; so I was very fortunate in my initial training. During one particular job, I bumped into Jeremy Clarkson. He invited me to do a show with the rest of the guys, and the rest is history. Then I started to do more light entertainment work. I had a great balance of doing light entertainment with some really nice documentaries – feature documentaries as well as specialised ones on specific subjects. About 5 years ago, I got a bit of a taste for doing drama and sitcom work and spent a hell of a lot of money at Richmond Film Services! I bought lots of things, including the Rycote pistol grip system for my MKH 50, CMITs, etc. So I currently do a bit of drama, a feature film now and then, and the odd documentary. Bringing it back to Rycote, in my drama work I obviously use pistol grips, baskets and furs, and they haven’t let me down. There are other Rycote products that we all know about, and I’m very happy with them. I know where I stand with them; they take care of the meat and bones, and that’s important because it’s the simple things that catch you out. The Overcovers are the simplest things in the world, but they’re pure genius. I do lectures at the National Film School, and I talk about a lot of things; but it’s always the small tips that they value. One tip that I have involves Rycote Stickies. You take a Stickie and attach the lavalier microphone to it. (In my case, a COS-11D or a DPA 4060/4071). Then you use double-sided tape over the top: so the mic is attached to the Stickie as normal, and secured with double-sided tape, which you can attach the Overcover to. The mic is very secure that way: it’s basically stuck there permanently. It takes a massive tug to pull it off, which saves you a lot of agro in the field and numerous, embarrassing moments where you have to stop the shoot to sort things out. If it’s wet and I’m doing something that I know is going to be quite action-packed, I spin the Stickie around and put a safety pin on the back. When you stick the Stickie to material (i.e. clothing) at the beginning of the day, it’s dry and stays there; but if, for some reason, it gets pulled off and gets wet or covered in dust, then you’ll never get it back on. So I go one step further and use a safety pin. Outside, you are obviously going to go for a Rycote Overcover. Even if you’re inside on a documentary, you’ll go for an Overcover because you never know when there’s going to be a quick transition outdoors. I know where I stand with Rycote; they take care of the meat and bones, and that’s important because it’s the simple things that catch you out. Nothing’s changed from my website. I recently bought myself a 688 and some Wisycoms. I did a job in the North Pole that was quite challenging, because cables kept freezing and going very stiff. If there’s an electrical problem or a cable problem, then you’ll very quickly find out about it! Have you ever experienced filming conditions that were very, very challenging for sound: where you’ve really had to battle against the elements to capture sound? Oh definitely yes; lots of times. Every year. I did a job two years ago in Norway, in the Arctic region. The wind was spiteful – 40mph and freezing cold. I used Rycote Overcovers, and they really did the job to stop the wind getting through. In fact, what I sometimes do is put the Overcover on a Stickie, then put that inside one of your bigger, Lavalier Windjammers. What are you looking forward to next in your career? Not necessarily a particular job or something that you perhaps can’t talk about for disclosure reasons: What kinds of things are you looking forward to next more generally? I’m slowly trying to get into more drama and feature films. I did a nice feature film last year in Cuba and another in Spain, and I’m really looking forward to doing more of them, because like I say, I think I’ve been around the world a few times! He literally just said, ‘Wow’. They didn’t have to spend extra – God knows how much – to bring the artists back again to ADR the scene in the studio, because we did it first time: with the Rycote Overcovers, it was fine. Was that the Ernest Hemingway feature in Cuba? 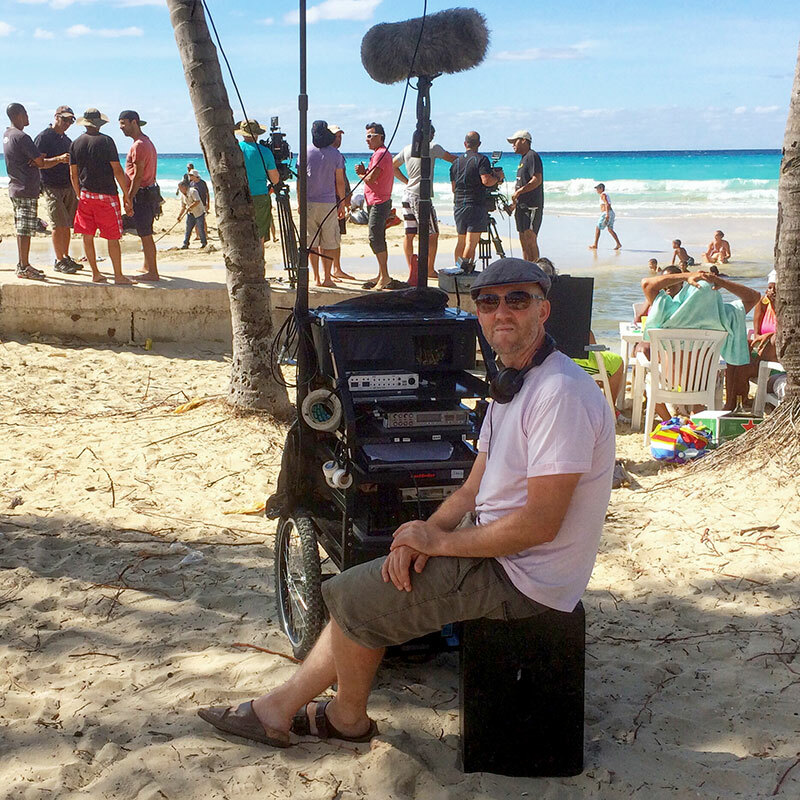 Yes, we shot Papa in Cuba for 8 weeks and I took the Rycote stuff out there and it worked very, very well indeed. They had a scene at sea – Ernest Hemingway, his wife played by Joely Richardson, and the reporter played by Giovanni Ribisi – and I couldn’t get to them physically with a boom, so I used your Overcovers. We were recording at quite a few knots into the wind and the director Bob Yari said to me, ‘We probably have to ADR this’, and I gave him the headphones and said, ‘Well, no’.